These savory, succulent mussles are mild in taste. Rich, fresh, clean, and grit-free flavor. Our mussels are raised and supplied to us from Taylors Shellfish Co. and known for their delicate, yet complex flavor and a buttery texture. 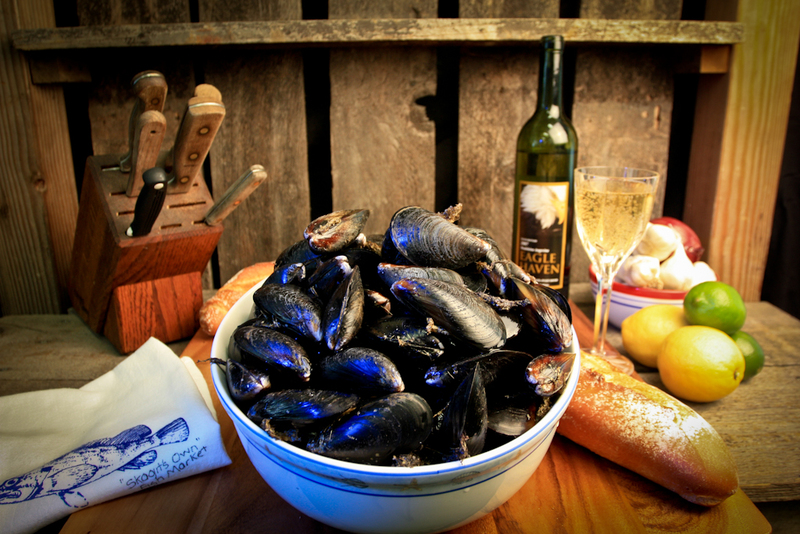 Mediterranean Mussels can be steamed or used in prepared dishes ranging from simple to complex. They can stand up to sauces and preparations with intense flavors. This makes them one of the Northwests most versatile and delectable shellfish.